The personalized newsfeed revolutionized the way people share and consume content. But let's be honest: this came at a huge cost to facts, our minds and the entire media industry. This is a challenging problem to solve because the obvious benefits that have driven the growth of social media – more friends! more likes! more free content! – are also the things that will undermine it in the long run. New alternatives for self-expression, including services like text messaging, WhatsApp, and Snapchat are part of a shift towards using communication applications to express yourself rather than posting on social media, because communication apps are oriented around talking with your close friends, free from judgment. Social media fueled "fake news" because content designed to be shared by friends is not necessarily content designed to deliver accurate information. After all, how many times have you shared something you've never bothered to read? Be smart: The Snapchat solution is to rely on algorithms based on your interests — not on the interests of "friends" — and to make sure media companies also profit off the content they produce for our Discover platform. We think this helps guard against fake news and mindless scrambles for friends or unworthy distractions. While many people view Snapchat as a social media service, it is primarily used to talk with friends – like visual texting. Snapchat began as an escape from social media, where people could send photos and videos to their friends without the pressure of likes, comments, and permanence. By focusing on the camera, Snapchat lowered the barrier to self-expression and showed a new generation that everyone is creative. 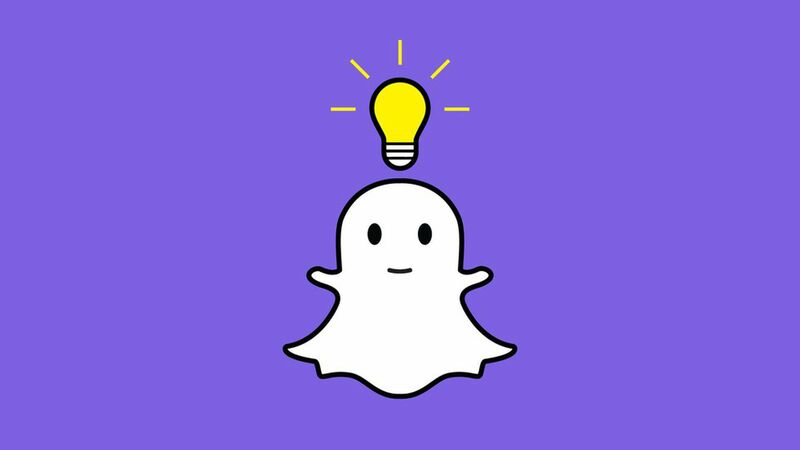 Our theory: Rather than using friends to curate a content feed, Snapchat empowered people to visually communicate with their friends. This was part of a shift towards using apps to express yourself rather than posting on social media. Apps were oriented around talking with your close friends, free from judgment. But there's a challenge – how can Snapchat better personalize the Stories created by publishers if they aren't curated by friends? One model is what Netflix does. Netflix uses machine-learning algorithms to recommend content to subscribers based on what they watched in the past. Research shows that your own past behavior is a far better predictor of what you're interested in than anything your friends are doing. This form of machine learning personalization gives you a set of choices that does not rely on free media or friend's recommendations and is less susceptible to outside manipulation. Ah, but won't this exacerbate fears about algorithms taking over? It's important to remember that human beings write algorithms and can optimize them to account for human behavior. This means that an algorithm can be designed to provide multiple sources of content and different points of view. Our thought bubble: It's vitally important that future content feeds are built on top of a human-curated supply of content – rather than just anything that surfaces on the Internet. Curating content in this way will change the social media model and also give us both reliable content and the content we want. With the upcoming redesign of Snapchat, we are separating the social from the media, and taking an important step forward towards strengthening our relationships with our friends and our relationships with the media. This will provide a better way for publishers to distribute and monetize their Stories, and a more personal way for friends to communicate and find the content they want to watch. See details on the redesign in the Axios stream by clicking here.